Phenomenal views! Fantastic play areas! Picture postcard trails! 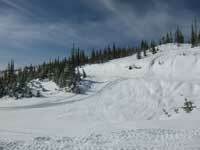 Snowmobiling in Northwest Montana is an exhilarating experience! 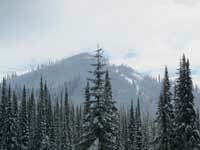 Pristine forests blanketed with snow during the winter and early spring months provide a playground for all levels of snowmobile riders. Novices enjoy the groomed trails while experts utilize the trails as access points to play areas that challenge even the extreme Sno-Cats! Set in the Kootenai National Forest, amenities available in Troy and nearby Libby, access from both eastern and western population centers is available from US Highway 2. Please respect the areas that have been designated as closed to snowmobiling. 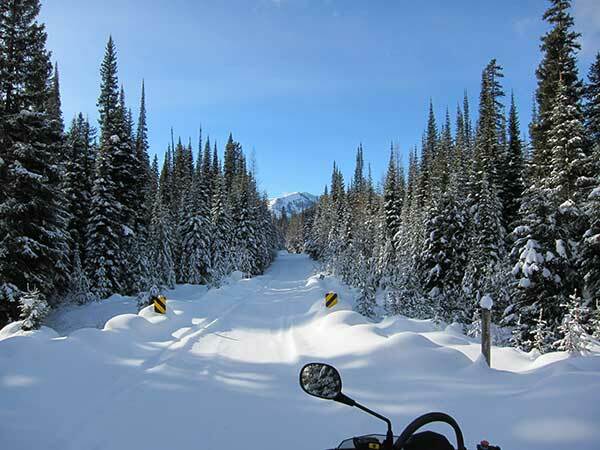 Click here to download a map covering a portion closed to snowmobiling. For other areas and more information, please contact the Three Rivers Ranger District USFS at (406) 295-4693. Montana residents must register their snowmobiles at the County Treasurer's office in the county where the owner resides. This is a one-time registration and valid until the current owner sells the snowmobile. Residents must also purchase a Trail Pass starting October 1, 2015 to ride on any of the 4000 miles of groomed snowmobile trails. Trail Passes are valid for three seasons and are $18. Trail Passes apply to all "mechanized equipment" including; snowmobiles, motorized snow bikes, and fat tire pedal bikes. 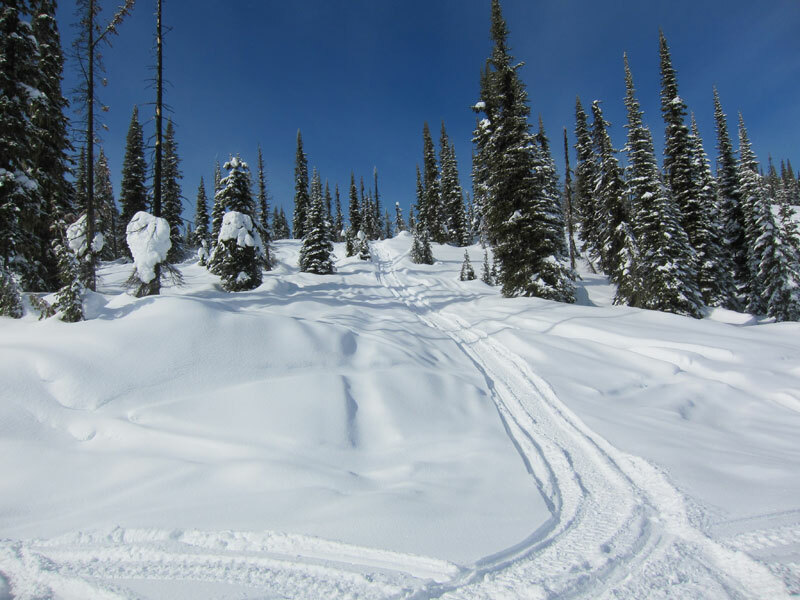 Nonresidents who plan to ride their snowmobiles and motorized snow bikes in Montana must purchase a Snowmobile Nonresident Temporary Use Permit for $25 per machine. Both laws went into effect on Oct. 1. The permits may be purchased from Booze-n-Bait in Troy, the Yaak River Tavern & Merchantile in the Yaak or online at https://app.mt.gov/als/index/index.html. 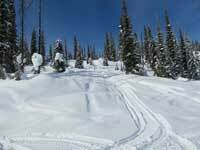 Snowmobilers visiting Montana are required to pay a fee to support the grooming of snowmobile trails. A visitor who plans to ride his/her snowmobile in Montana must purchase a non-resident temporary snowmobile use permit. In Troy, Booze-N-Bait sells permits and is located on Highway 2 – easily accessible as you drive through the town to access the snowmobile areas. 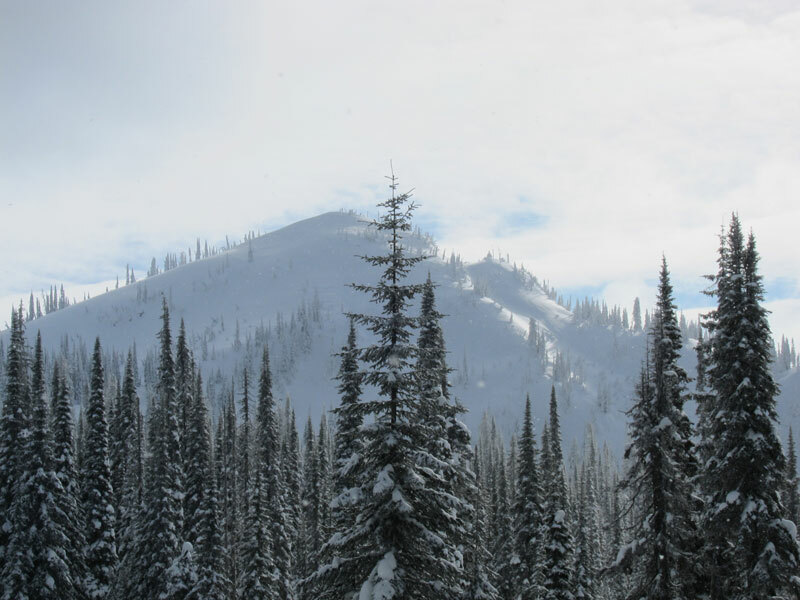 Snowmobilers visiting Idaho are required to purchase a nonresident snowmobile user certificate. The certificate costs $32.50 and is available at authorized snowmobile registration vendors. The certificate is good for one year and nonresidents may designate their certificate fees to the county snowmobile program of their primary use. For additional information on Idaho Regulations visit their website at parksandrecreation.idaho.gov/activities/snowmobiling. Officials at Idaho Parks and Recreation have advised that nonresident snowmobile user certificates are required for snowmobiles that may start their journey in Montana but cross into Idaho at any point in the trip. The Troy Snowmobile Club Inc.(TSC) is a Montana non-profit, volunteer and membership organization committed to the advancement of recreational snowmobiling activities. Including trail grooming, preservation of forest access, sponsored events, safety forums and training. TSC was formed in November 2004 to focus on snowmobile development in the greater Troy area. In a relatively short period of time, the club membership has grown substantially, geographically dispersed. The Troy Snowmobile Club Inc. (TSC) members developed and maintain this website for informational purposes. Our Sponsors and Supporters are highlighted in several sections of the website and we would appreciate your support of their businesses in turn. We count on their support to bring you this website. Please thank them for supporting your sport! Club Meetings are held the first Wednesday of each month, Nov. through May. All Club Rides are subject to change or cancellation depending upon weather & snow conditions. Contact Jerry at 406.295.4322, or check Trails and Photos for latest information.